When you’re collecting data from users, there are two key challenges; collecting that information, and validating it. Some types of information are straightforward – someone’s age, for example, couldn’t really be simpler to collect and to validate. Names aren’t as straightforward as they sound, but provided you cater for edge cases and international variations – for example patronymics, the mononymous, or even just people with hyphenated surnames – you can’t go too far wrong (although plenty of applications and services do!). Email addresses, while theoretically very easy to validate, have their own challenges – yet nevertheless, there are plenty of regular expressions in the wild that aren’t quite right. And then there are telephone numbers. These are hard. Really hard. In this article I’ll discuss some of the challenges around collecting, validating, and displaying telephone numbers. So based on that, we know that the regular expression apparoach isn’t as simple as we first thought – but that’s only the half of it. These examples are just for a US-based number. Sure, if you know that the number you’re collecting is going to be for a specific country, you may be able to use a regular expression. Otherwise, this approach won’t cut it. Let’s look at some of the other issues around telephone numbers, and why they make our job even harder. All sorts of external factors can have implications for telephone numbering. Whole countries come and go, introducing new country prefixes. New classifications of numbers introduce new numbering systems – premium-rate, local-rate, toll-free, and so on. When a carrier runs out of one set of numbers – like, sadly, premium-rate – they simply introduce a new prefix. Some changes have enormous implications; in the United Kingdom some years ago, for example, the entire regional numbering system underwent a drastic change, with virtually every area code getting an additional “1” inserted. Even then, the capital had a subtly different system. It was probably a decade before signage was changed across the country to reflect the changes. Then, of course, there was the enormous and unprecedented growth in mobile. No longer was the number of telephone numbers required largely limited to the number of households, but many times over. The continued strain on the pool of available numbers can only increase the likelihood of further changes. It’s often important to capture a number’s international dialling code. In some cases, the context might mean they aren’t required. For example if you operate in a single country, and telephone numbers are captured to be used by a human operator, you might not need them. But for anything remotely automated – such as sending SMS messages – or to validate them effectively, you’ll need to capture the country prefix. As you can see, this demonstrates that Austria uses the international dialing code 43. So how might we use this information? Well, using the magic of Lodash (or Underscore), there are a few ways in which we can query dialing code-related information. There are a more efficient ways of doing this, of course, so this and the following examples aren’t necessarily optimized for production. You’ll find these functions packaged up as a module, along with unit tests, in the repository that accompanies the article. Even international dialling codes, however, aren’t as straightforward as you may think. The format can vary – 1, 43, 962 1868 are all valid codes. There isn’t necessarily a one-to-one mapping; 44 for example, is used not just for the United Kingdom but for the Isle of Man, Guernsey and Jersey. Thankfully, there is a format we can use which enable us to get around these variations. We can represent any valid telephone number using the E.164 format. We know what country it refers to, and it’s unabmiguous – making it the ideal choice for storage. It’s also commonly used for telephony based services such as SMS providers, as we’ll see a little later. There’s a catch, of course. The E.164 standard might be great for storage, but terrible for two things. First, virtually no one would type or read out their number in that format. Second, it’s hopeless in terms of its readability. Later though, when we look at libphonenumber , we’ll see that there are ways of formatting numbers for humans. First though, let’s look at the issue of collecting telephone numbers. HTML5 introduced a new “tel” input type. However, because of the issues around the variations in format, it doesn’t actually place any restrictions on what the user can type, nor does it perform any validation in the same way as, say, the email element. 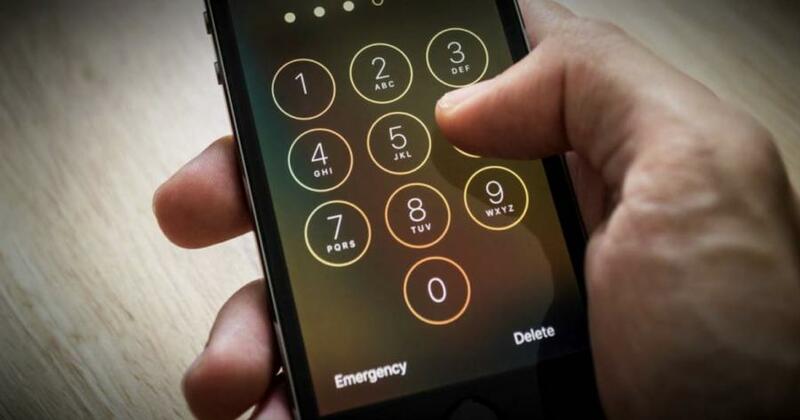 Nevertheless, there are some advantages – when used on a mobile site a user’s telephone keypad will usually be displayed, rather than a conventional keyboard layout. Browser support is pretty good (e.g. Chrome 6+, Firefox 4+, Safari 5+, IE 10+), but even in an older browser it will simply fall back to a plain old text field. Masked inputs are a common technique for restricting user input or providing hints as to the expected format. But again, unless you can be confident that numbers will always be for a particular country, it’s very difficult to cater to international variations. However, it’s one thing to annoy users by making assumptions – asking a non-US user to provide a state and a zip-code. It’s quite another to make a form completely unusable, for example by forcing people to provide numbers in a certain country’s format. Nevertheless, they can be effective if you know that certain numbers will be within a particular range. Here is an example of a masked input for US telephone numbers. There is a better and more flexible way to collect telephone numbers, in the form of an excellent jQuery plugin. It’s illustrated below. Usage is simple – make sure you’ve included jQuery, the library, and the CSS file, and that the flag sprite is available and properly referenced from the CSS – you’ll find it in build/img/flags.png. For a full list of configuration options, consult the documentation. Later, we’ll look at the option, but first, we need to delve into another useful library. You can download the library from the project homepage on – as you might expect – Google Code. If you’re thinking of using it in a front-end project, be warned though – even when minified and compressed, it comes in at over 200Kb. In order to demonstrate the library’s key features, I’m going to assume you’re writing a Node.js application. 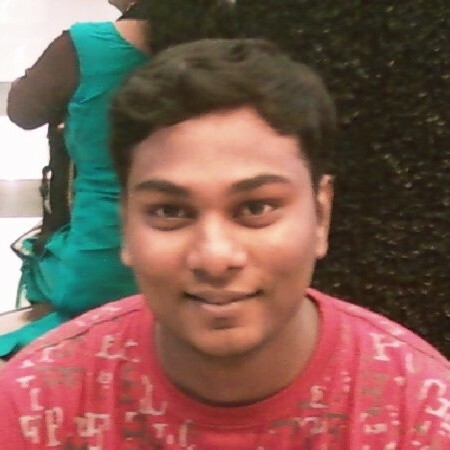 You can find some example code in the repository which complements this article. This is because without explicitly telling it what country the number is for, it’s impossible to interpret. The parse() method takes an optional second parameter, which is the ISO 3166-1 alpha-2 (i.e., two character) country code. Once you’ve parsed a number, you can validate it – as we’ll see in the next section. Validation follows a similar pattern; again, there is a second optional argument, but one which you’re going to need if the country isn’t implicitly stated. // => throws exception "Error: Invalid country calling code"
// => throws exception "Error: The string supplied did not seem to be a phone number"
Sometimes, it’s useful to know the type of a telephone number. For example, you may wish to ensure that you’ve been provided with a mobile number – perhaps you plan to send SMS messages, for example to implement two-factor authentication – or attempt to weed out premium rate numbers. The library’s getNumberType() function does just that. Let’s take a look. The return value is a constant defined in the PhoneNumberType sub-module – you’ll recall we’ve this in as PNF. As seems to be the theme of the topic, naturally there’s a catch. Sometimes, even the libphonenumber library can’t be sure. US numbers, for example, cannot be easily distinguished; hence the constant PNT.FIXED_LINE_OR_MOBILE . As you can see, the PNT.UNKNOWN reflects the fact that we can’t necessarily glean any information with any certaintly. So in summary, whilst this feature can be useful as a quick initial check, we can’t rely on it. Is the Number in Service? There are plenty of telephone numbers which will validate, but which are not in use. They may have been disconnected, not yet allocated, or perhaps a SIM card has been dropped down a toilet. If you need to ensure that a number is not just valid but also active, there are a number of options open to you. One approach is to require users’ confirm their number, in much the same way as you might require users confirm their email address. You can use a service such as Twilio to send an SMS, or even place a call. // You'll need to install the Twilio library with "npm install twilio"
It’s then a trivial exercise to ask users to enter the code into a form in your web app to verify it – or you could even allow people to validate their number by replying to the message. There are also (paid) services which will check whether a number is in service for you in realtime, such as this one from Byteplant. As with any personal information, there are also plenty of legal issues to be mindful of. In the UK, for example, the Telephone Preference Service (TPS) is a national register of telephone numbers which have explictly been registered by people not wishing to receive marketing communications. There are paid services which offer APIs to check a number against this register, such as this one. It’s very common to request up to three different telephone numbers in a single form; for example daytime, evening and mobile. Attempt to “fool” the validation. Depending on the approach, they may type something like “ex directory”, or enter an invalid number – such as one which contains only numbers. This option allows us to take advantage of the validation and formatting features of libphonenumber . 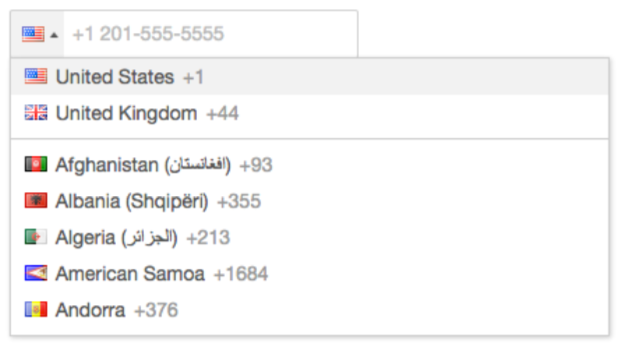 Having selected a country – either using the drop-down or by typing the dialing code – it will transform the textfield into a masked input which reflects that country’s numbering format. As I’ve previously mentioned, do bear in mind that this approach should be used with caution, owing to the file size of the libphonenumber library. Referencing it here in the constructor does however mean that it can be loaded on demand. We’ve looked at how we can format numbers when displaying them to be more “friendly”, using formats such as PNF.INTERNATIONAL and PNF.NATIONAL. We can also use the tel and callto protocols to add hyperlinks to telephone numbers, which are particulary useful on mobile sites – allowing users to dial a number direct from a web page. Of course, you could use the libphonenumber library’s format() method to render both the E.164 version ( PNF.E164 ) and the more user-friendly display version. In this article, we’ve opened up the hornets nest that is telephone numbers. It should be pretty apparent by now that there are all sorts of complexities, subtleties and gotchas you need to be aware of if you need to collect, validate and display them. We’ve looked at a few methods for collecting numbers – the “tel” input type, masked inputs and finally the intl-tel-input jQuery plugin. We then looked at some of the issues around validation, and why common approaches such as regular expressions are often inadequate, particularly when you go international. We took a look at Google’s libphonenumber library; using it to parse, validate, display and determine the type of telephone numbers. We combined the intl-tel-input plugin with libphonenumber for an even better user experience, albeit one which comes at a cost in terms of performance. Finally we looked at how we might mark up telephone numbers in our HTML. Unless you only operate in a single country, be aware of the international differences. Use masked inputs with caution. Be very careful with regular expression-based validation. Where possible, use E.164 for storage. When displaying numbers, format them where possible, use the tel: or callto: link type, and use Microdata. Thank you Praveen Kumar for the blog!